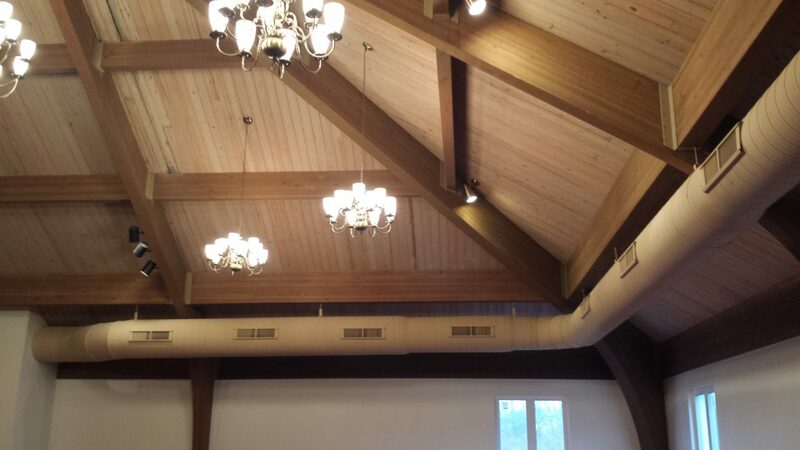 This was a church in plymouth that installed a new HVAC system. But new ducts where galvanized and they wanted to hide them better with paint. We prepped and painted the surface of the metal and sprayed all the duct work. 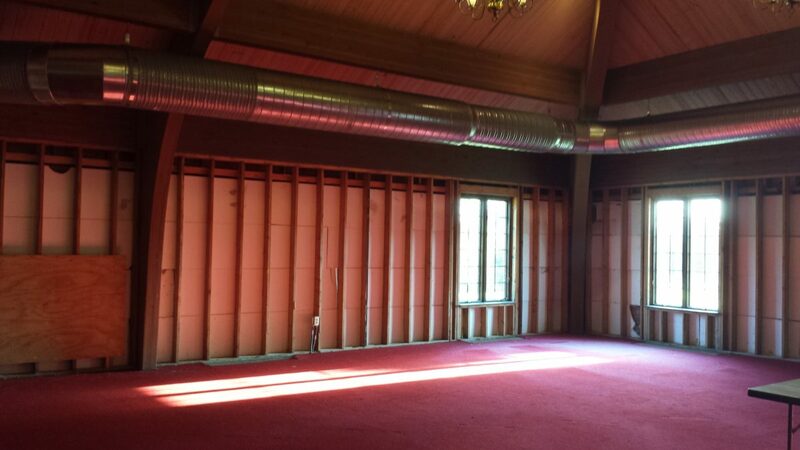 Also installed drywall to walls.